Living in Canada and the upper United States, snow is a part of our yearly reality. 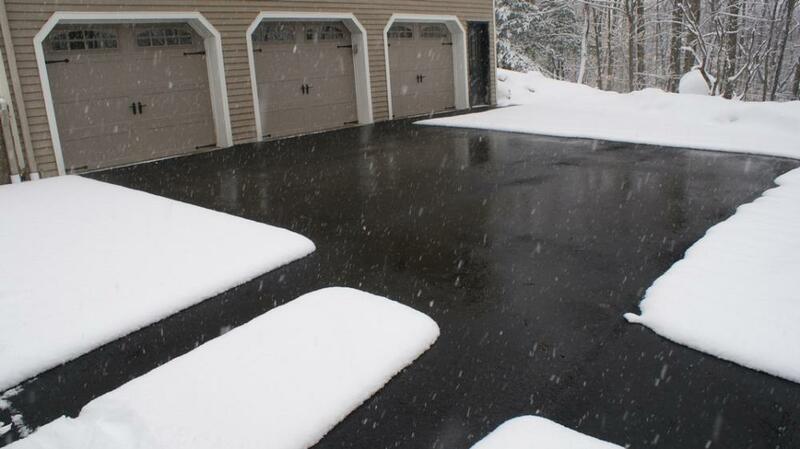 For those looking for a more efficient way to keep the snow and ice off their driveways, walkways, ramps, parking lots, and patios – radiant heating is the answer. By utilizing HotRockPanels to insulate below the concrete or asphalt surfaces, it becomes easier than ever to ensure a proper thermal break is achieved while also gaining complete control of your PEX layout. With HotRockPanels, the raised knobs allow for simple and quick installation of the PEX and provides the ability to target more problematic areas where ice and snow are prone to build up. With the temperature only needing to be maintained above 0 degrees, hydronic heating becomes a long term option to efficiently keep snow and ice from affecting your daily activities during the winter months. As HotRockPanels are manufactured with EPS (expanded polystyrene), you can be certain you are using the best material to insulate your ice-melt project as EPS maintains its R-value and structural integrity over the life of the heated concrete/asphalt application. As EPS is resistant to moisture, you can rest assured that your ice-melt system will be operating at peak efficiency today and in the future. Instead of reaching for a shovel next winter, choose HotRockPanels and hydronic radiant heating to keep the ice and snow away. Please send any questions on your project or quote requests. At HotRockPanels, we strive to design and manufacture the highest quality insulation for radiant floor heating to ensure that your heated floor can be completed for a fair price with the goal of achieving long term efficiency.